“The Ahmadiyya Muslim Community strongly condemns the attacks that have taken place around the world, including recent attacks in Berlin, Zurich and Turkey in which dozens of innocent people have been mercilessly killed. “The victims of these cruel attacks and their families are in our thoughts and prayers. “All forms of terrorism and extremism are against the teachings of Islam, as the Holy Quran states, that to kill even one innocent person is akin to killing all of mankind (Quran 5:33). 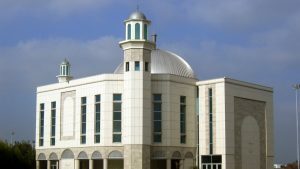 Share the post "Statement of Ahmadiyya Muslim Community following atrocities in Berlin, Zurich and Turkey"